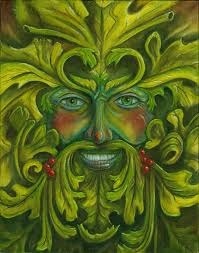 This years traditional Clun Green Man Festival takes place Saturday 2 May, Sunday 3 Monday 4 May 2015 in in the picturesque town of Clun, South Shropshire. The programme is full of live music, drama, colour and medieval malarkey including, Music by The Johnny Cash Tribute, who will be performing at Clun Memorial Hall, with support from Dave Luke and John Hymas, who will be covering Western Swing and traditional Irish Folk songs, There will also be Morris Dancing throughout the event, the Animal Man will be exhibiting Exotic Pets. “Whalebone” and “the Endings” will both be performing live music throughout the event and Matt Pang will also be performing in the street. The undoubted highlight of the event is the famous Battle of the Bridge between The Green Man and the Frost Queen If the Green Man does not defeat the Frost Queen there will be no summer in the Clun Valley! However should he win there will be a traditional May Fair at Clun Castle with Green Man Fire & Drumming display on the hill, stalls and traditional craft demonstrations. Plus Morris Dancing, strolling entertainers, jugglers, Sylvesta the Jester, magician, Battle re-enactments by the Swords of Chivalry and a Jousting display by Les Amis D’onno, plus a Craft Fair, maypole dancing, circus workshop, garlands, face painting, duck racing, beer tent and Refreshments. Walpurgis Night takes place between April 30 and May1, and is the eve of the feast day of Saint Walpurga, an 8th-century abbess in Germany. In German folklore Walpurgisnacht, also called Hexennacht (literally “Witches’ Night”), is believed to be the night of a witches’ meeting on the Brocken, the highest peak in the Harz Mountains, a range of wooded hills in central Germany between the rivers Weser and Elbe. The first known written occurrence of the English translation ‘Walpurgis Night’ is from the 19th century. Local variants of Walpurgis Night are observed across Europe in the Netherlands, Germany, the Czech Republic, Sweden, Lithuania, Latvia, Finland and Estonia. In the United States, Walpurgisnacht is one of the major holidays celebrated within LaVeyan Satanism and is the anniversary of the founding of the Church of Satan. The current festival is, in most countries that celebrate it, named after the English missionary Saint Walpurga (ca. 710–777. As Walpurga’s feast was held on 1 May, she became associated with May Day, especially in the Finnish and Swedish calendars. The eve of May Day, traditionally celebrated with dancing, came to be known as Walpurgisnacht (“Walpurga’s night”). The name of the holiday is Walpurgisnacht or Hexennacht (“Witches’ Night”) in German, Valborgsmässoafton in Swedish, “Vappen” in Finland Swedish, Vappu in Finnish, Volbriöö, (Walpurgi night) in Estonian, Valpurgijos naktis in Lithuanian, Valpurģu nakts or Valpurģi in Latvian, čarodějnice and Valpuržina noc in Czech. The German term Walpurgisnacht is recorded in 1668 by Johannes Praetorius. Walpurgis and S. Walpurgis Abend are also mentioned in the 1603 edition of the Calendarium perpetuum of Johann Coler, who also refers to the following day, 1 May, as Jacobi Philippi, feast day of the apostles James the Less and Philip in the Catholic calendar. The 17th century German tradition of a meeting of sorcerers and witches on May Day eve (Hexennacht, “Witches’ Night” ) is also influenced by the descriptions of Witches’ Sabbaths in 15th and 16th century literature. Walpurgis Night is also very similar to Chaharshanbe Suri, an Iranian ceremony which is held on the last Wednesday of winter to celebrate spring and Iranian new year, Nowruz. Chaharshanbe Suri is also held in other parts of greater Iran. International Workers’ Day or Labour Day is held on May 1 in Great Britain to celebrate labourers and the working classes. It is promoted by the international labour movement, anarchists, socialists, and communists, it also coincides with the Celtic spring festival Beltane. The date was chosen to commemorate the Haymarket affair, which occurred in Chicago on 4 May 1886 when the police killed four demonstrators while trying to disperse a public assembly during a general strike for the eight-hour working day. International Workers Day was also campaigned for by other trade unionists as a day to celebrate labor and was first proposed In 1882 by Matthew Maguire, a machinist, who proposed a Labor Day holiday while serving as secretary of the Central Labor Union (CLU)) of New York.Peter J. McGuire of the American Federation of Labor also proposed a day in May 1882, after witnessing the annual labour festival held in Toronto, Canada. Thus on September 1887, Oregon was among thirty US States to celebrate Labor Day an official public holiday. Elsewhere May 1 was chosen to be International Workers’ Day After Raymond Lavigne proposed international demonstrations on the 1890 anniversary of the Chicago protests at a meeting held by Second international in Paris. Subsequently May Day was formally recognized as an annual event at the International’s second congress in 1891. In 1904, the International Socialist Conference called on “all Social Democratic Party organizations and trade unions to legally establish an eight hour working day. Since thenvMay Day has been a focal point for demonstrations by various socialist, communist and anarchist groups. May Day has been an important official holiday in countries such as the People’s Republic of China, North Korea, Cuba and the former Soviet Union. May Day celebrations typically feature elaborate popular and military parades in these countries. In 1955, the Catholic Church dedicated 1 May to “Saint Joseph The patron saint of workers and craftsmen (among others). In London there is a May Day March and rally, organised by the London May Day Committee (South East Region Trades Councils), during which people gather together in Clerkenwell Green near the Marx Memorial Library before marching to Trafalgar Square for a rally with speeches from representatives of local, national and international trades unions and campaigning organisations. This event always takes place on May 1 with the intention to reinstate May 1, regardless of what day it falls on, as a national holiday. More images and information of London’s May Day rally is covered by the “Working Class Heroes” project. May Day is an ancient Northern Hemisphere spring festival and public holiday held on May 1. It is also a traditional spring holiday in many cultures and dances, singing, and cake are usually part of the celebrations. In the late 19th Century, May Day was also chosen as the date for International Workers’ Day by the Socialists and Communists of the Second International to commemorate the Haymarket affair in Chicago. The earliest May Day celebrations appeared in pre-Christian times, with the Floralia, festival of Flora, the Roman goddess of flowers, held April 27 during the Roman Republic era, and with the Walpurgis Night celebrations of the Germanic countries. It is also associated with the Gaelic Beltane, most commonly held on April 30. The day was a traditional summer holiday in many pre-Christian European pagan cultures. While February 1 was the first day of Spring, May 1 was the first day of summer; hence, the summer solstice on June 21 was Midsummer. As Europe became Christianised, the pagan holidays lost their religious meaning and May Day became a secular celebration. A significant celebration of May Day occurs in Germany where it is one of several days on which St. Walburga, credited with bringing Christianity to Germany, is celebrated. May Day, as observed in Europe and America, is known for the traditions of dancing around the maypole and crowning the Queen of May. People also used to give “May baskets,” small baskets of sweets or flowers, usually left anonymously on neighbours’ doorsteps. Since the 18th Century, many Roman Catholics have observed May — and May Day — with various May devotions to the Blessed Virgin Mary In works of art, school skits, and so forth, Mary’s head will often be adorned with flowers in a May crowning. May 1 is also one of two feast days of the Catholic patron saint of workers St Joseph the Worker, a carpenter, husband to Mother Mary, and surrogate father of Jesus. Replacing another feast to St. Joseph, this date was chosen by the Pope Pius XII in 1955 to create as a counterpoint to the Communist International Workers Day celebrations on May Day.During the late 20th century, many neopagans began celebrating May Day as a pagan religious festival. Traditional English May Day rites and celebrations include Morris dancing, the crowning of a May Queen and Dancing round the maypole. Much of this tradition derives from the pagan Anglo-Saxon customs held during May. May Day has been a traditional day of festivities throughout the centuries. May Day is most associated with towns and villages celebrating springtime fertility (of the soil, livestock, and people) and revelry with village fetes and community gatherings. Since the reform of the Catholic calendar, May 1 is the Feast of St Joseph the Worker, the patron saint of workers. Seeding has been completed by this date and it was convenient to give farm labourers a day off. Perhaps the most significant of the traditions is the maypole, around which traditional dancers circle with ribbons.The May Day bank holiday, is also held on the first Monday in May, not to be confused with Spring Bank Holiday, which is the last Monday in May. May Day was actually bolished at one time and its celebration banned by puritan parliaments during the Interregnum, however it was reinstated with the restoration of Charles II in 1660. May 1, 1707, was the day the Act of Union came into effect, joining England and Scotland to form the Kingdom of Great Britain. In Oxford, it is traditional for May Morning revellers to gather below the Great Tower of Magdalen College at 6:00 a.m. to listen to the college choir sing traditional madrigals as a conclusion to the previous night’s celebrations. Recently some idiots have celebrated May Day by Jumping off Magdalen Bridge in Oxford into the River Cherwell, this is not recommended as the water is only 2 feet deep (approx 60cm) and has predictably resulted in many injuries. Meanwhile In Durham, students of the University of Durham gather on Prebend’s Bridge to see the sunrise and enjoy festivities, folk music, dancing, madrigal singing and a barbecue breakfast. This is an emerging Durham tradition, with patchy observance since 2001. Kingsbury Episcopi, Somerset, has also seen its yearly May Day Festival celebrations on the May bank holiday Monday become very popular. the celebrations include traditional maypole dancing, morris dancing, as well as a number of excellent contemporary music acts; artists such as Mad Dog Mcrea and the Three Daft Monkeys have played in previous years. In 2014, the Green Man Stage was graced with four acts, including traditional Somerset folk singer Mary Bateman, The Roving Crows, solo acoustic artist Gaz Brookfield and the Lounge Lizards. Meanwhile Whitstable, Kent, hosts more traditional May Day festivities, where Jack in the Green leads an annual procession of morris dancers through the town on the May Bank Holiday. Elsewhere in Rochester a traditional Sweeps Festival is performed over the May bank holiday where the Jack in the Green is woken at dawn on May 1 by Morris dancers. Meanwhile in Maidstone, Kent, The Kettle Bridge Clogs morris dancing side dance across Barming Bridge (Kettle Bridge), spanning the River Medway to mark the official start of their morris dancing season (Ashtoria Day). Thousands of motorbike enthusiasts also embark on a 55-mile (89 km) trip from London (Locksbottom) to the Hastings seafront, East Sussex for the Maydayrun on May 1. In Padstow, Cornwall their is an annual Obby-Oss (Hobby Horse) day of festivities. During which revellers dance through the streets accompanied by Morris Dancers, singing traditional May Day songs and the whole town is decorated with springtime greenery. Kingsand, Cawsand and Millbrook in Cornwall also celebrate Flower Boat Ritual on the May Day bank holiday. During which A model of the ship The Black Prince is covered in flowers and is taken in procession from the Quay at Millbrook to the beach at Cawsand where it is cast adrift. The houses in the villages are also decorated with flowers and people traditionally wear red and white clothes. There are further celebrations in Cawsand Square with Morris dancing and May pole dancing. At the University of St Andrews, some of the students gather on the beach late on April 30 and run into the North Sea at sunrise on May Day, occasionally naked. Both Edinburgh and Glasgow organize Mayday festivals and rallies. In Edinburgh, the Beltane Fire Festival is Held on the city’s Calton Hill. It is also claimed that ant woman who climbs Arthur’s Seat and washes their faces in the morning dew will have lifelong beauty. 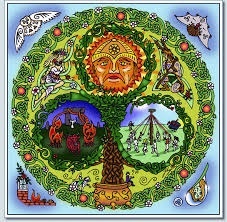 Beltane or Beltain is the Gaelic May Day festival. Most commonly it is held on 1 May, or about halfway between the spring equinox and the summer solstice. Historically, it was widely observed throughout Ireland, Scotland and the Isle of Man. In Irish it is Bealtaine in Scottish Gaelic Bealltainn and in Manx Gaelic Boaltinn or Boaldyn. It is one of the four Gaelic seasonal festivals—along with Samhain, Imbolc and Lughnasadh—and is similar to the Welsh Calan Mai. Beltane is mentioned in some of the earliest Irish literature and it is associated with important events in Irish mythology. It marked the beginning of summer and was when cattle were driven out to the summer pastures. Rituals were performed to protect the cattle, crops and people, and to encourage growth. Special bonfires were kindled, and their flames, smoke and ashes were deemed to have protective powers. The people and their cattle would walk around the bonfire, or between two bonfires, and sometimes leap over the flames or embers. All household fires would be doused and then re-lit from the Beltane bonfire. These gatherings would be accompanied by a feast, and some of the food and drink would be offered to the aos sí. Doors, windows, byres and the cattle themselves would be decorated with yellow May flowers, perhaps because they evoked fire. In parts of Ireland, people would make a May Bush; a thorn bush decorated with flowers, ribbons and bright shells. Holy wells were also visited, while Beltane dew was thought to bring beauty and maintain youthfulness. Many of these customs were part of May Day or Midsummer festivals in other parts of Great Britain and Europe.